When you’re in charge of so many moving parts for a small business, it can be hard to keep track of all of them — mistakes can happen. However, there are some flubs that have a higher impact than others, one of them being accounting errors. 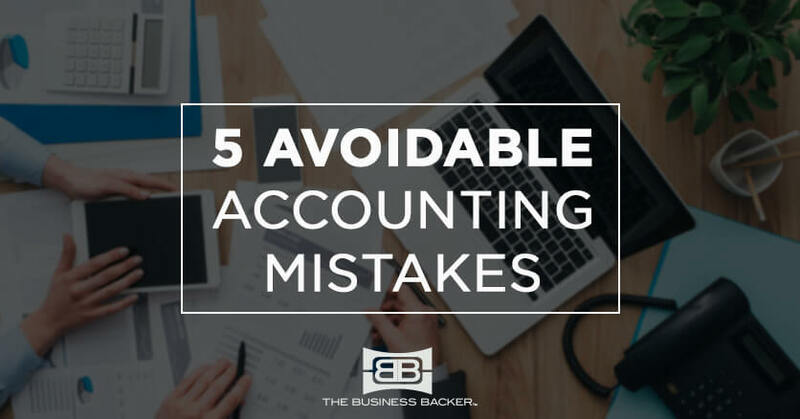 These blunders can affect your bookkeeping, and if not caught quickly, can cause much more damage than the initial error. 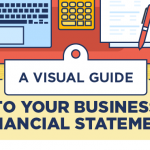 Here are some of the most common accounting mistakes small business owners make, easy ways to identify them and tips to help you avoid them in the future. While the progress of digital statements may tempt you to automate your accounting, it is worthwhile to comb through them just the same. Digital banking is great for efficiency, but it may not always be accurate, especially if your business has many transactions. The same goes for bills from vendors you regularly use — just because you have a regularly occurring order does not mean that your vendor can’t also make a billing mistake. Solution: Cross-reference your accounts with the statements you get from the bank. If there are any discrepancies, follow up on them immediately. It’s tempting to pinch pennies and try to do all the accounting yourself, but there may come a time when you run into a difficult issue or your business grows large enough, and you find you need to consult a professional. You may be a self-taught accountant and great at it, but you didn’t start your small business because you were passionate about bookkeeping, did you? It may seem like the best way to save money, but if you end up making significant errors, it could actually end up costing you more. In times of crisis, do not be afraid to consult with an accountant. They may know tax deductions you don’t, find errors you overlooked and more. Solution: If you don’t want to spend the money on a full-time accountant, consider finding one that is willing to work with you as a consultant. Set up time once every quarter to look over things to make sure you’re staying on track. As a small business owner, it’s great to be organized. For you, that may mean throwing out seemingly meaningless receipts. However, there may be a time when that receipt can end up being crucial to reconciling your books or to help you account for certain purchases on your taxes. Solution: Keep your receipts organized in an accordion folder or a similar filing tool for up to a year after you’ve made the purchase. At that time, it’s probably safe to throw it out. A potentially easier way to sort them is by scanning them into a folder in your computer and naming them. That way, if you do need to find one quickly, you can search for it digitally. Sometimes the projects we initiate go just as planned — other times, not so much. The projects you take on as a small business owner are not always predictable, and as a result, neither are the budgets. If you choose not to assign a budget to a certain endeavor, it may spin off the rails and become a greater problem. Solution: Always assign an appropriate value to a project. If you foresee a problem and know you will need more funds, reassess at that point. Make sure to brainstorm alternative options and reflect on what went wrong (or simply what surprised you) before you go expanding the budget. The solution might not be more funds but a new strategy. Remember that setting aside time to focus on your accounting tasks can prevent a lot of the mistakes listed above. This may seem like a no-brainer, but as a small business owner, you are frequently interrupted or even pulled away into a new task. Lacking focus in these accounting tasks can be the root of many costly errors. Take control of your finances, build better habits and improve your bookkeeping skills with these tips.